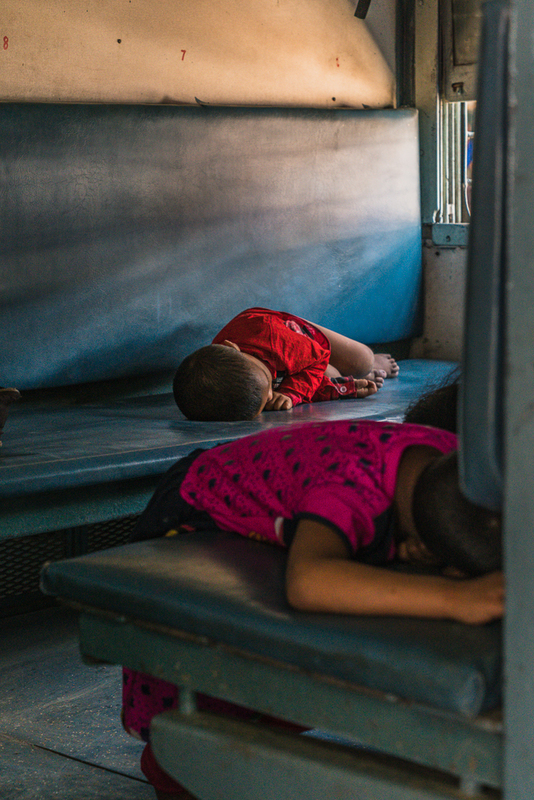 The kids were exhausted from the journey. Big brother fell asleep on his feet. At least their parents knew where they were. Posted in India, VaranasiTagged Everyday Life, India, Indian Railways, Photography, Street Photography, Train, Train Car, Train Station, Travel, Travel Photography, VaranasiBookmark the permalink.